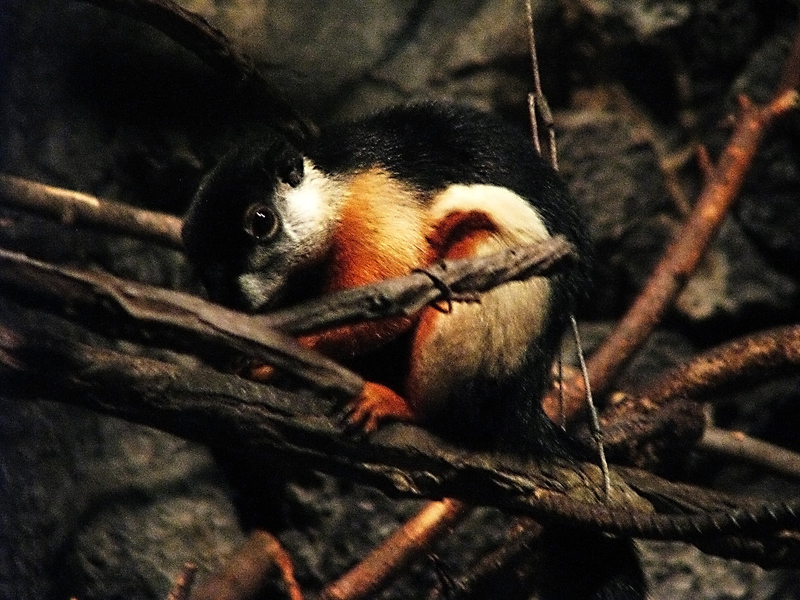 On a cloudy day I found this Squirrel like animal in the Brookfield Zoo of Chicago. The natural day light from a tiny hole in the roof falls on the animal illuminating its vivid colors. The picture is taken in the Auto mode.